John has been ARiD's Project Officer - Democratic Governance since 2016. He holds a Bachelors degree in Wood Science Technology from Makerere University. As a professional, he helps the organization to meet the strategic priority of empoweringwomen and youth through livelihoods enhancement and environmental protection. 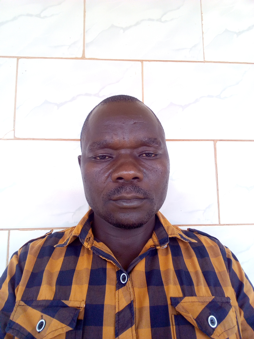 John worked previously with Agago District Local Government as a Sub-County NAADs Coordinator having attended trainings on climate resilient sustainable agriculture (CRSA) and farm planning. John’s experience in child protection provides an added advantage to ARiD in the promotion of human rights given the fact that he worked as a Child Protection Officer in-charge of formal and informal education with Friends of Orphans in partnership with War Child UK. His knowledge and experience on good governance and accountability has been of great value to the organization mainly because he received trainings on good governance, Economic Literacy, Budget and Accountability for Governance. With the four years of working experience with local governance, John has been able to collaborate and create good networks with civil servants and political leaders thereby enhancing the implementation of governance and accountability project with ARiD. John has also participated in research work to obtain evidenced based information for advocacy. He has been ARiD’s focal person in the collaborative research work with the Adventist Development Relief Agency (ADRA) - Uganda.